The French producers Jean Kluger and Daniel Vangarde created the track 'Disco Bouzouki', roughly inspired by Greek music, in 1977. 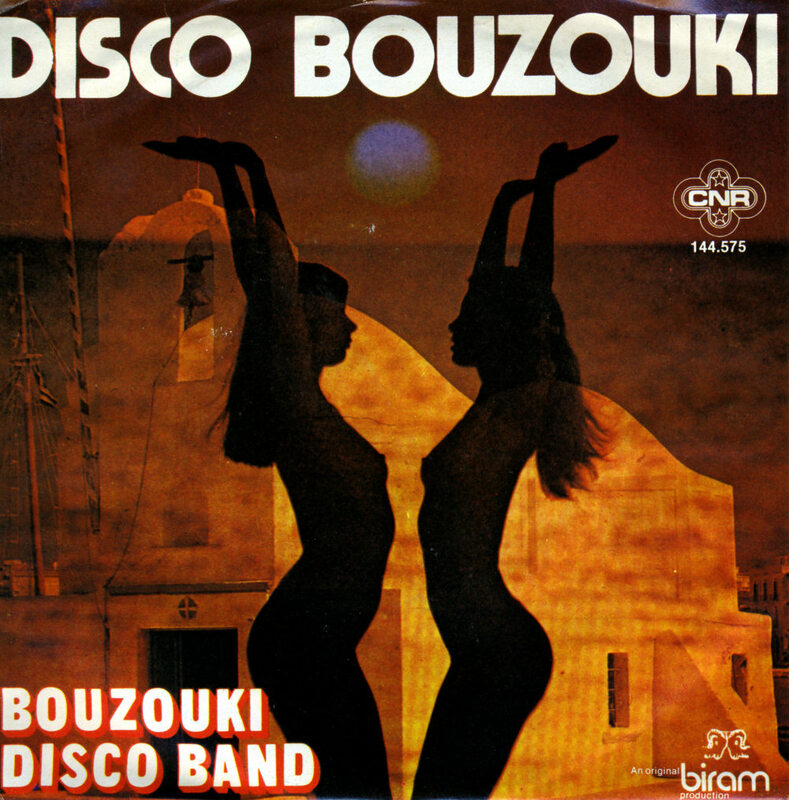 The Bouzouki Disco Band they called themselves, and the single became quite a hit in France. When released in other countries, it wasn't quite as successful - despite the rather attractive sleeve. A few years later, Kluger and Vangarde were more successful when they produced the duo Ottawan, who hit the charts in 1980 and 1981 with hits like 'D.I.S.C.O.' and 'Hands up'.